Surprisingly easy to make at home! Buying ginger shots at the supermarket or juice bars gets expensive quickly compared to the cost of a lump of ginger and a lemon. With that said let’s get into how to do it! For the uttermost basic ginger shot all you need to do is get a lump of fresh ginger, about 2 oz or about 2.5 inches long, peel all the outside skin off and throw it in the juicer! Assuming you’ve already got yourself a ginger juicer. I’m a bit of a wasteful peeler when it comes to ginger and tend to just use a knife and chop it down into a rough square. Feel free to use a peeler, I just tend to be in a hurry in the mornings! I have a juicer so this is, of course, my favourite method but if you don’t have a juicer don’t worry! You can still enjoy a ginger shot. If you need a ginger juicer this is my top pick below. Whether it’s a blender, a Nutribullet, or anything that’s almost a juicer don’t worry I’ve got you covered. You’ll just follow the recipes as normal, put everything in the blender then strain after. Make sure you squeeze every last piece of goodness out of the mix into the glass! You might get more waste so may need to up the quantities in the recipe compared to using a juicer. Now if you have absolutely nothing juicer or blender like then you’re going to make the shot more like a tea, it’s a little trickier and more time consuming but you can still do it. It will last about 1 week in the fridge so enjoy it! You can use any herbal tea you want, Pukka has nice herbal teas so grab whatever takes your fancy and give it a go! Or get yourself a juicer and give the recipes below a try. Now I love ginger shots, I can’t drink coffee so it’s absolutely perfect for giving me the kick into the day I need. Plus it’s great anytime I feel a cold coming on and need an immunity boost. 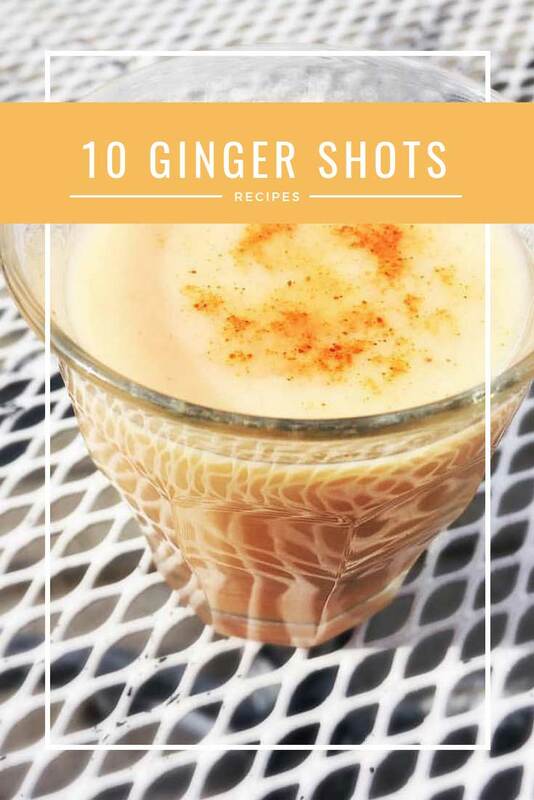 With that said I want to share some of my favourite ginger shot recipes I’ve tried over the years. 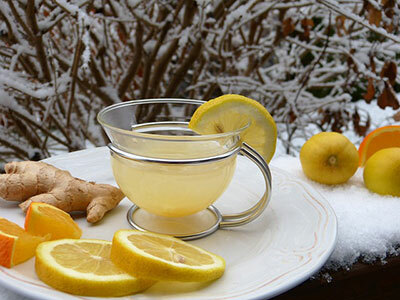 Ginger lemon and honey have been treating colds for centuries. The antioxidant boost you get plus the natural antiseptics keep your cold under control or help prevent it all together. 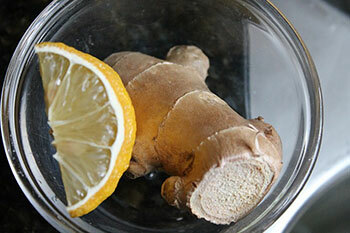 Just juice the ginger, squeeze the lemon in a citrus press and add a squeeze of local honey to taste. Make sure you give it a stir to mix the honey in and get it down! A great winter warmer. Again just juice em all up and swallow it whole! It’s a little less intense ginger taste because of the extra orange juice but that gets cancelled out with the cayenne pepper which adds another fiery kick! In Australia this is a local juice that the surfers have before they hit the waves. The oregano adds an extra antibacterial layer to the shot and boosts you up keeping you strong and healthy! 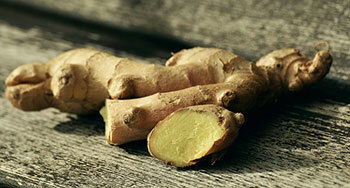 An extra kick from the superfood turmeric takes this ginger shot to the next level! Just make sure you use fresh and wear gloves when you’re handling it otherwise you’ll end up stained yellow! Definitely not to be had before a date night, and not one I would chose to have often, but if there’s a sick bug going around it is totally worth it. Garlic for the extra immunity boost, and carrot for vitamin C and delicious flavour. I’m sure you don’t need a lot of explanation on this one, you juice the ginger and sprinkle a little cayenne pepper on the top. Now this is not for the faint-hearted, the pure concentrated ginger plus the spicy cayenne pepper burn can leave you coughing but NOTHING else will wake you up as fast. It’s just not the most gentle way to start the day but it will start it right. This is a great way to dial back the intensity of the ginger, mix it with lemon so you still get all the immunity boosting power then dilute it with coconut water to taste. Just add a little if you like it strong (I know I do) or add a lot if you can’t quite handle the spiciness yet. The apple is a nice change away from the lemon which can make it a little too acidic if you’re not used to it. A red apple would work but I like the freshness of a green apple against the ginger. It was a very yellow heavy list so I thought I’d throw a nice red shot into the mix with this cherry and ginger edition, if you have a sweet tooth then this will be the one for you. 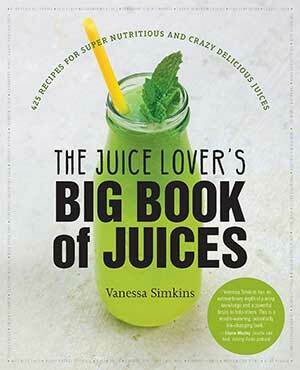 If you want other great juicing recipes apart from ginger shots then you need to check out this awesome recipe book. Ginger shots last between 24-48 hours in the fridge when they’re made in a juicer or a blender so it’s worth just making it as and when you want one. It doesn’t take much prep and the fresher it is the more delicious it tastes! The no juicer recipe is different and because it gets boiled will last about a week in the fridge because technically it’s been cooked and isn’t raw.